Polka dots will never go out of style. 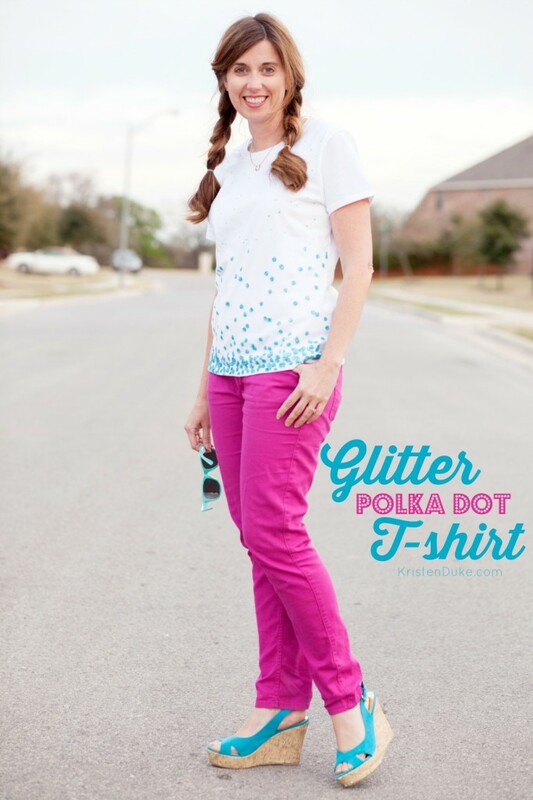 I love them in my clothing, and I’m excited to share a fun glitter polka dot shirt I made, originally shared on The Polka Dot Chair last month. 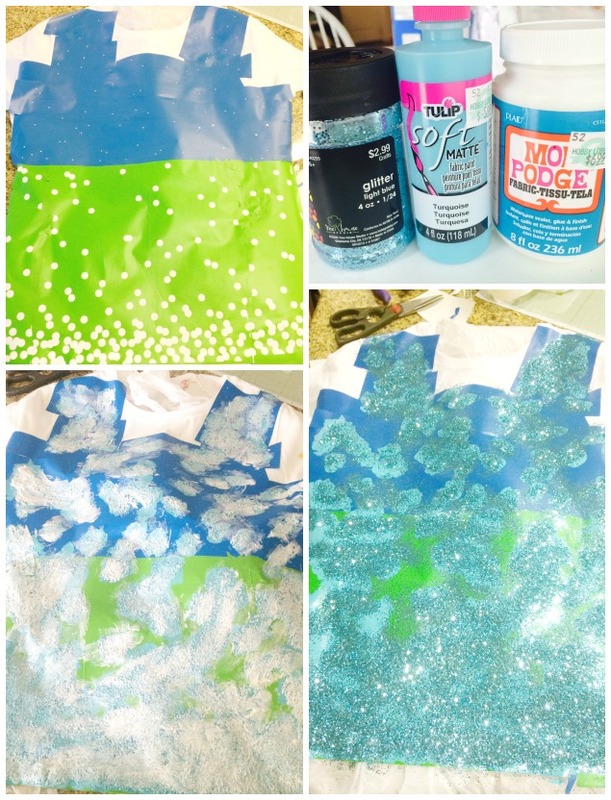 When I made our glitter anchor shirt for all of my family to wear on a trip we took, I knew I wanted to make more with that same process. 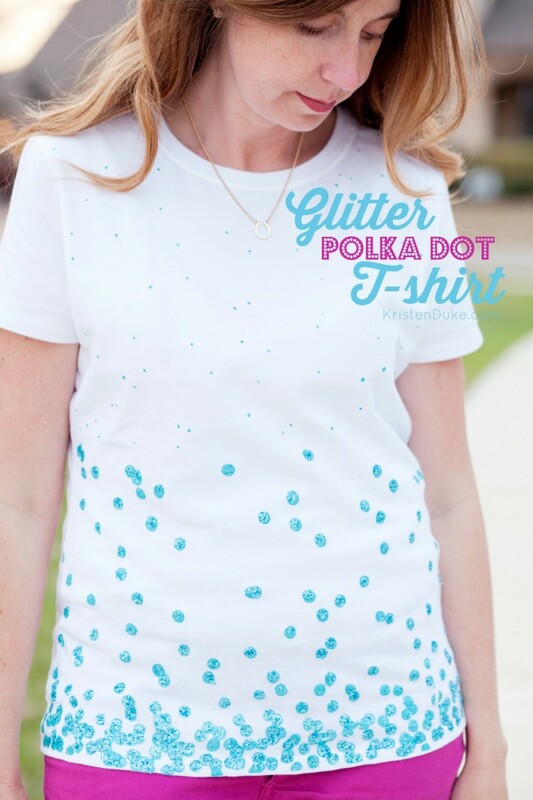 I loved how it all came together, and I thought it would be fun to make a glitter polka dot t-shirt, too. (I also hear you can iron on parchment paper). I am fairly new to my vinyl cutting machine, and love it’s capabilities, but I haven’t invested a lot of time in figuring it all out. I think my blade broke halfway through my cutting process and wasn’t able to fix it. SOOO, I had my big dots at the bottom, which I planned to graduate up and have just a few spaced at the top. Instead I used a mini hole punch I had on the top half. I actually like how it turned out with my subtle color/polka dots with most of the attention at the bottom!